Hello, my name is Crystal from BasketeerBelle (Inedible Decadence). 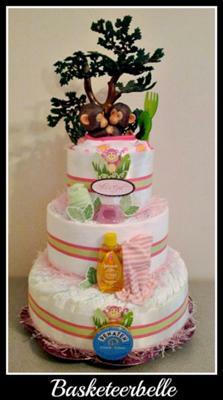 I love making diaper cakes and I love the reaction I get from my customers. 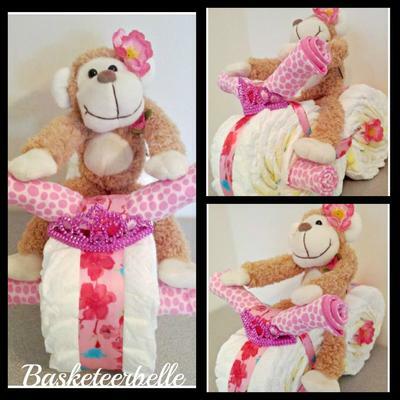 BasketeerBelle started in Edmonton, AB about a year ago with not so great results due to everyone in the city made these. 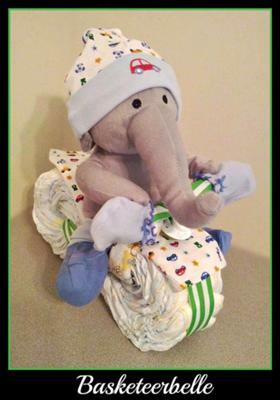 But here in Nanaimo, BC it seems to be almost a new concept and my diaper cakes are getting more and more popular.